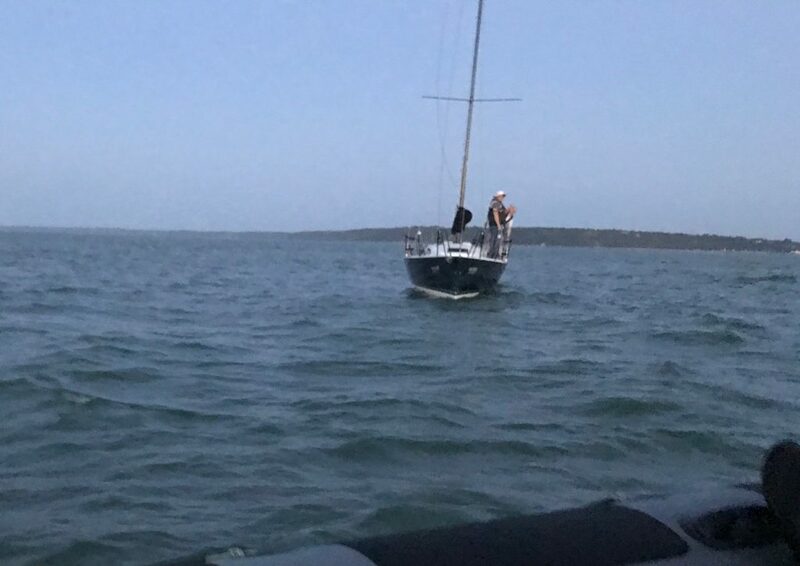 Two yachts aground in the space of less than 12 hours kept rescuers from an independent lifeboat station busy this weekend. 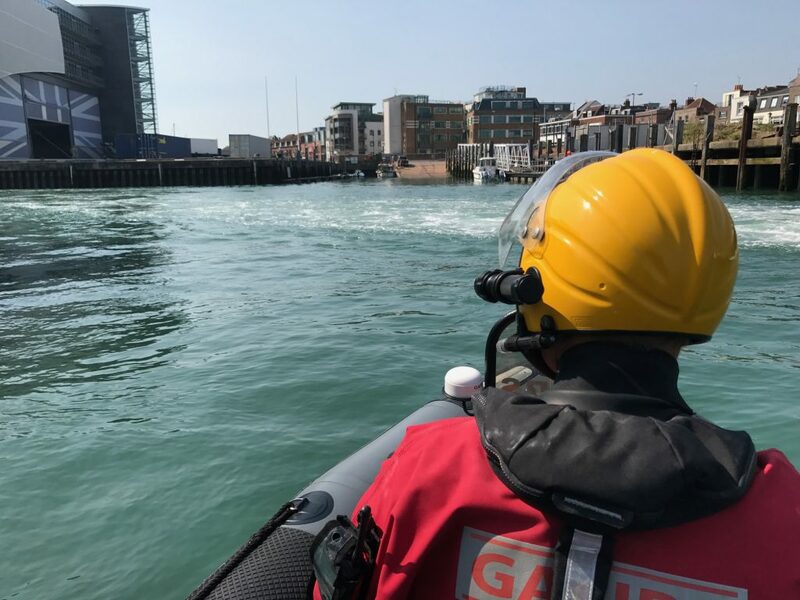 As temperatures soared across the south, so too did the work load for Gosport & Fareham Inshore Rescue Service (GAFIRS) which was called into action seven times in four days. The first tasking by UK Coastguard came at 2130 on Friday. After a routine evening training session, crews were putting Gosport lifeboat away at Stokes Bay when UK Coastguard called on the volunteers to assist a vessel aground on Bramble Bank in The Solent. The 30-foot yacht, which had two people on board, was hard aground on the bank near Southampton Water. GAFIRS senior coxswain Brian Pack said: ‘We were able to get to the scene in less than 10 minutes as the crew and lifeboat was ready to launch, thanks to some evening training. GAFIRS lifeboat escorted the vessel back towards Cowes, Isle of Wight, to ensure it returned to port safely. The operation lasted two hours. 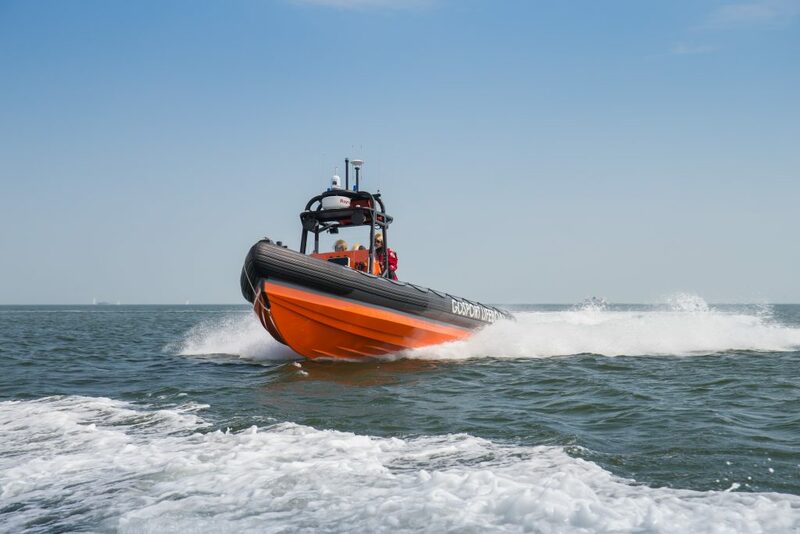 Just seven hours later, at 0600 on Saturday, GAFIRS was paged by UK Coastguard to assist a second vessel aground, this time in Portsmouth Harbour. A crewman was again placed on board the yacht, which had six people on board, and the lifeboat pulled her free. At 1108 on Saturday, UK Coastguard called on GAFIRS to investigate an unmanned vessel which had been spotted near Lee-on-the-Solent. Crews found the 8ft tender was waterlogged and investigated for any signs of life on board or persons missing. GAFIRS identified the owner thanks to a sticker on the craft and safely returned it. Later that afternoon GAFIRS helped a person in their tender get back on their yacht near Seaview on the Isle of Wight after they had been in the water for 20 minutes and became exhausted. The skipper had been attempting to clear a fouled prop and needed assistance. A paramedic GAFIRS crewman assessed the casualty and decided further treatment was necessary as he had inhaled sea water. The vessel was towed back to Bembridge and the skipper handed to ambulance crews for further treatment. Later on Saturday GAFIRS helped a small mirror dinghy and then on Sunday gave first aid to member of the public who had become unwell at Stokes Bay. 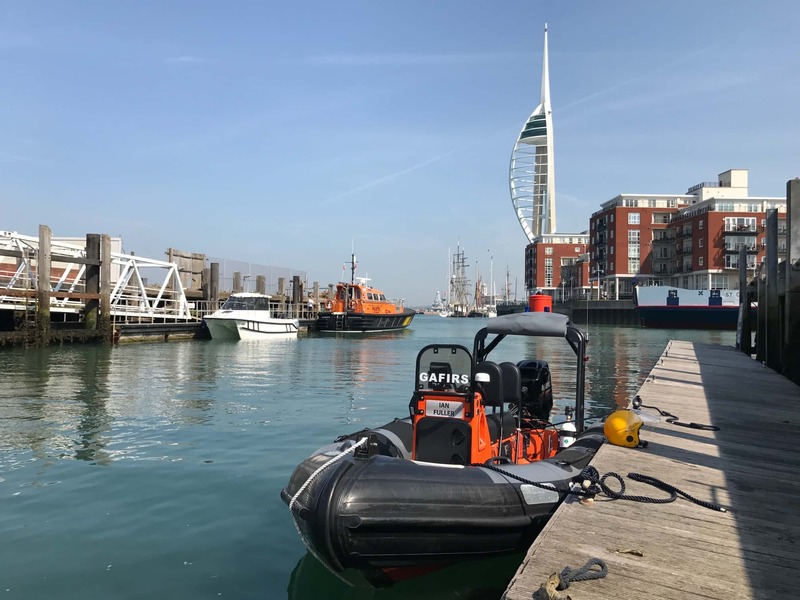 Finally, on Monday morning at 0948, Gosport’s inshore lifeboat was tasked to investigate a Personal Locator Beacon that had been activated in Camber Dock, Portsmouth. The reports turned out to be a false alarm. GAFIRS is completely independent of the RNLI and relies on public donations to keep it afloat.